The under-eye region (also called tear-troughs) can be the first to manifest the visible signs of aging and wear-and-tear. That's because as we age we often tend to lose fat around the eyes resulting in a hollowed out appearance. Another reason for looking older is dark circles that can result from lack of sleep or illness. Some individuals, however, can have a genetic predisposition to sunken eyes, dark circles or both. 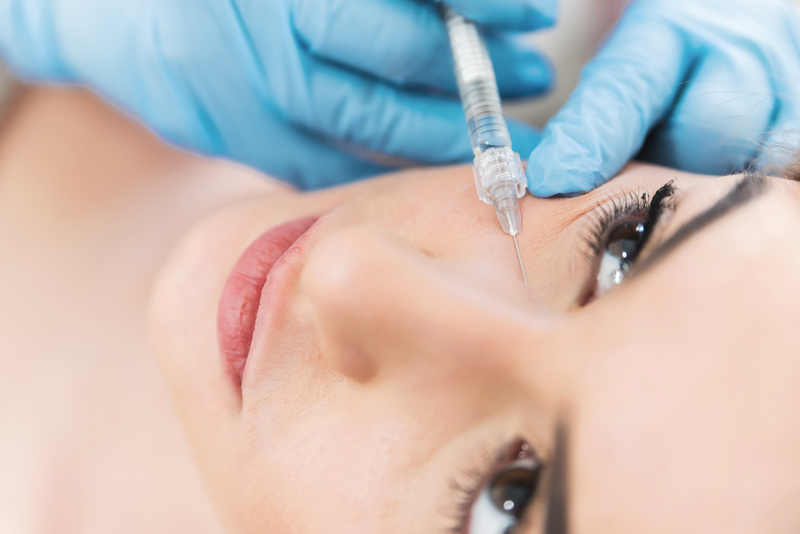 The following are three ways that dermal filler injections in the tear troughs can instantly revitalize the treatment area, helping us look more more youthful and rejuvenated. For some patients the natural malar fat pads in their face diminish over time due to aging. For others it can be the face they were born with. Whatever the reason may be, it's possible to dramatically improve fullness and smooth the skin under the eyes with dermal filler such as Restylane. Depending on whether deep-tissue or mid-level correction is required, a different Restylane product may be used based on the desired viscosity. In general, a softer and less viscous filler is ideal to augment the under-eye area. Extreme caution must be taken not to inject dermal filler too superficially as a bluish tinge called the Tyndall effect may occur. The number of syringes required to correct volume loss can vary based on the severity of the hollowness and the patient's desired outcome. Anywhere from 1-2 syringes are typically used. Dark circles under the eyes is a common complaint for a lot of people. After moisturizer, eye cream is the next best-selling facial product. Why spend the money on expensive eye creams that may or may not help when a little dermal filler can improve the appearance of dark circles for up to 8-12 months. If the shadow under the eyes is caused by poor blood circulation or excessive vascular activity then filler can temporarily mask this condition. By injecting hyaluronic acid molecules between the skin and blood vessels, a barrier is created that can help the skin reflect light instead of absorbing it. It's an optical illusion that brightens dark circles and gives the face a more refreshed appearance. It's important to note that sometimes dark circles are caused by hyperpigmentation or darkening of the skin itself, in which case filler most likely will not help. As we age the malar fat pads between our eyes and cheeks not only diminish but can separate altogether, causing the skin under the eyes to droop. This area is called the lower eyelid-to-cheek junction. Although more common in patients over 40, malar fat separation can happen in younger people as well. Using dermal fillers for structural support in the medial/upper cheek can dramatically improve the eyelid-to-cheek junction. Similar to treating dark circles, a smoother transition between the upper and mid face enhances the reflection of light, creating a brighter and more vibrant appearance. Under-eye bags: many patients want to know if dermal filler injections can help improve the appearance of under-eye bags, characterized by excessive swelling and water retention. In some cases yes, dermal filler can smooth the skin by adding fullness to the underlying tissue. For most patients, however, under-eye bags may not be treated with filler. Especially if severe edema (water retention) is present, adding filler (which attracts water) can exacerbate the condition. Surgery may be the best option. It's best to consult with your Toronto dermal filler or Burlington dermal filler practitioner to find out if you're a suitable candidate.